Tim Rhoads is an accomplished supply chain transition professional with leadership team experience across merger & acquisition, divestiture, and business transition initiatives within two global organizations. Tim joins the Sinclair Group after successfully running his own independent consultancy for the last five years. The strength of that success was built on a foundation of over 33 years’ experience in the chemical industry. 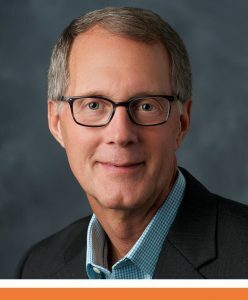 As a senior level supply chain director and consultant, Tim brings extensive functional and cross-functional experience to Sinclair Group across petrochemicals, specialty chemicals, and the oil & gas midstream relative to strategic investment, business process optimization, and supply chain network optimization initiatives. Tim’s business team leadership and associated strategy delivery experience across mergers, acquisitions, divestitures, and consolidation initiatives aligns well with the Sinclair expertise in operational and organizational excellence transformation. Tim worked 30 years for Dow Chemical with roles in R&D, manufacturing, Six Sigma, and supply chain. His roles included Program Manager accountability for consolidating multiple business unit acquisitions and for a Designed for Six Sigma program to develop a unique bulk liquids inventory and distribution network. He transitioned from Dow to Arkema as a part of the leadership team leading the divestiture of Dow’s North American acrylic acid business. In the beginning of 2016, Tim joined Sinclair Group as an Associate and has earned a reputation of being a results-driven expert that works well with our team and clients. Tim is a graduate of The Ohio State University with a B.S. in Biological Sciences and Otterbein University with a B.S. in Chemistry. He is an APICS Certified Supply Chain Professional (CSCP) and Lean / Six Sigma Black Belt.